Photography On Paper. (C) Peter Bower. I thought it an appropriate time to revisit (and rewrite) an article I wrote for DigitalRev years back now. Why now? Well, the article was originally called “Photography on Paper”, and considering this week’s theme for the #VoTogs52 is “Paper”, it seemed as good a time as any! At times, picking up a camera can be difficult. Life gets in the way. A lack of time is often at fault, due to family or social life, work or even watching every series of NCIS back-to-back. Or free-time falls in the wee-small hours of the morning, when other people in the house (or neighbours!) don’t appreciate camera flash popping. And there’s always that general sense of apathy that creeps in. In extreme cases, perhaps your camera is broken or, as with one photographer I know, perhaps your shutter finger was injured severely and you literally can’t take photos. So, what can you do to satisfy the shutter-finger itch? What can you do when you don’t have time to get out for a shoot, or don’t have a model available for that portrait shoot you have in mind, or, honestly, when you can’t be bothered getting up off of the couch, but still want to be thinking about your photography? Well, here’s my guide for Photography On Paper. Planning | Monitor Shopping | Participate in a photo project! Even if you’re not picking up the camera because of a rocking social life, you might find you need to surround yourself with some photographer types. Having a beer with your mates or catching a movie with a loved one might be all well and good, but it likely won’t result in you thinking about photography. So, what can you do? Forums are a great place to explore and interact with other photographers. Forums are a nice casual place to chat with other photographers, of all levels, to share images, to ask for help or about gear, or to just chat about the weather (and what weather is best to shoot in). I have met some great people on forums and message boards over the past fifteen years I have used them — many of whom have become lifelong friends — so I highly recommend jumping on board and getting involved. While lurking is all well and good and you might discover the answers you are after or see something awesome, getting involved and interacting with others will definitely see you get the most out of the experience. Jump on over and sign up to VoTogs’ forums, post and introduction and see what everyone is up to. We have a nice little community building and we would love to meet you if you are not already over there! You will love Twitter. Or you will hate it. There is seldom a middle ground with the social media platform. Twitter… A place you might meet people like this guy. I love Twitter and can’t recommend it enough for photographers. Through Twitter, I’ve met some great people, locally, nationally and internationally. Kevin and I actually met through Twitter (discussing the old Canon Photo5 competition). Through Twitter, I have met like-minded people (and clashed against those with whom I don’t share the same opinion) and met both professional contacts and good friends. I have even received paying work and been afforded opportunities to explore cool places as a result of Twitter. On top of this, it’s a great place to follow a lot of great and inspirational photographers just to admire their work — such as @brookeshaden (Brooke Shaden), @thevonwong (Benjamin Von Wong) or @zarias (Zack Arias) — and follow photography blogs (hey, we’re over @VoTogs). It’s also definitely worth following some of the awesome photography brands over there, such as @3LeggedThing and @thinkTANKphoto, who often run awesome promotions. Finally, it’s a great place to reach out to other photographers. Many will take the time to write back and answer a quick question or just say hello! Throw a tweet to me (@OeterB) or Kevin (@aerokev) and I am sure we will say hello back! At one point of another, I am sure that almost every photographer on the internet will experiment with either Flickr, or 500px, or one variation or another of a photography sharing website. While I am a member of both, and have been meaning to explore 500px a little more (especially since they have added a number of very cool features lately), I have mainly existed over on Flickr. I find it brilliant (though, not without flaws, which is a post for another day! ), especially the ability to join groups. You can join a massive group like the Strobist group, where dozens of photographers are willing to give you advice on gear or lighting set up, all the while sharing amazing photographs for you to be inspired by, or groups specialising in portraiture. You can also often find groups for your local area. If they are anything like my local area groups, they often organise photo-meets for sunrises, sunsets, portrait sessions, macro meets, or even camera-less meets at the pub. Note: You may find that many of these local groups now have Facebook groups, so check about on there, too. Again, you only get out of it what you put in. If you share images and comment on others and get involved in group discussions, you will find the experience much more rewarding. But it certainly helps to keep you thinking about photography and will, undoubtedly, make you pick up your camera every now and then. Facebook is an integral part of our lives these days. Too much so, perhaps. But it is another great place for following photographers, both local and international, and leaving a comment or shooting a message that is longer than 140 characters. Tip: Click “Get Notifications” to never miss a post by your favourite pages! I have found a number of local photographers via Facebook. It’s a great place to follow their work. If you like their work and have questions about how they created this image, or lit that, or where that was taken, you will find many are willing to have a chat, especially over a cup of coffee or a beer. I have become friends with a number of local photographers and quite often meet up for a beverage just to catch up on what’s happening in their world. Following some photo blogs and websites (such as VoTogs over here!) is also great idea, as when they publish new material it will pop up in your feed. Again, don’t forget to go “Like” the pages of some of the photography companies, such as ThinkTankPhoto, as you never know what they will share or what competitions they will have running! Many cities have Photo Groups external to Flickr or Facebook (though, both sites may be used as a tool to share information) that meet regularly or run competitions. Definitely worth asking around other photographers to see what’s available near you. One of the most important things you can do when you’re NOT shooting and want to THINK about shooting is to absorb as much photography as you can. Surf photo sites like Flickr (the Explore pages) or 500px (the Popular pages), but also follow some blogs on Tumblr, or poke around Pinterest, or even look at some news sites such as The Guardian. Alternatively, get off the couch and go check out a local exhibit. Many photographers and photo groups host local exhibits in local galleries, as well as local fairs/shows. These can be great places to get you thinking about photography and perhaps meet some other great photographers. Pick up some photo books! Essential reading for a photographer! This one is pretty self-explanatory. Want to think about photography? Read about photography. Even if you won’t be using the skills straight away, reading up on them can be great as they often stick in the back of your mind. Read articles on websites (such as this one right here! 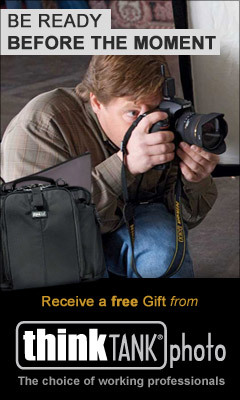 ), follow photographers’ blogs, and, importantly, grab some photography books. There is nothing quite like looking at photographs in print form. Coming soon, VoTogs will be reviewing some great photo books, so keep an eye out for that! Many photographers make a living by traveling around and hosting seminars and workshops. These are great for either honing your skills, learning some essential information (such as different legalities involving copyright, as an example), and surrounding yourself with other creative types that might just spur you on to pick up your camera. One of the most rewarding seminars I attended was at a time I was not shooting due to university deadlines. It was with one of the most inspirational PEOPLE I have met, Gavin Blue. He was in my home city visiting family, and decided to hosting a talk on off-camera flash one evening while visiting. It was great to hear an established photographer talk about his own work and share some advice. But, the moment that floored me, was when he started speaking about his work with Heartfelt. Since that day, I have always felt that photography is more than just capturing a moment in time, but so much more than this. So consider popping along to any you hear come to town — you never know what you might discover. Sometimes a photo is born as an idea well before it is created. Rarely is photography just rocking up to a shoot, pressing the shutter, and walking away with great photos. Sure, there is an element of creating on the fly, especially in a new location, but when I’m not shooting I often like to develop some ideas for later. Some are built from viewing other people’s photography, some are helped by reading articles on a technique I want to employ, and some are just from my own head (which is likely influenced from something else subconsciously, anyway). So, often, I draw a sketch on my iPad or on a piece of paper so I have an idea for a raining (or, most likely, non-rainy) day. That way, when you have time to pick up a camera, you have an idea to shoot already! “I Set Fire To The Rain” — The finished product from a germ of an idea much earlier. (C) Peter Bower, 2014. What to do when you are sitting on your computer, contemplating photography, but don’t want to get up? Or when the sun is burning down so fierce the moment you go outside, your shoes will melt on the hot asphalt? I like to poke around the internet on various camera stores. You can often find a bargain (like cheap lighting umbrellas which pop up on sale every now and then), and checking out the latest gear, gadgets and stuff I want — but likely can’t afford — is nice to do, as it often makes you think outside the box to create an image with what you do have. Participate in a photo project! Finally, what to do when you can’t shoot? FORCE YOURSELF TO SHOOT! Joining a photo project is a great idea, as it keeps you thinking about photography, helps stir the creative juices, and helps you build a support network of fellow photographers who are possibly in the same boat. Looking for a photo project? Why not join #VoTogs52! Click that link to find details with regards to rules (they’re not that scary!) and past themes (don’t worry, we won’t mind if you catch up! ), and make sure you join us over on the forums! Sign up, introduce yourself, and you’ll discover a great community tucked away! There we have it: a few simple ways to keep photography on your mind even when you don’t have time to use your camera that often. If your hands are empty, start practising your photography without your camera! But what about you? Do you have any other unique ways to keep the photographic you satisfied when you can’t pick up the camera? Leave some tips in the comments below! So, you mentioned Flickr, FB, Twitter, etc. but I didn’t notice Instagram. I was wondering what are your thoughts on Instagram? Is it good when your camera isn’t at hand and you want to capture and share something? Absolutely! Is it great for following other great photographers (a lot of pros share their work over there, too)? Definitely. Since it is always at hand (you always have your mobile, right? ), is it an easy way to force yourself to think photography and, mayhaps, take photos? I’m not so sure.